SURFERS MUST BE MEMBERS OF THE SOUTH AFRICAN SURF TOUR (SAST) TO COMPETE IN THIS EVENT. 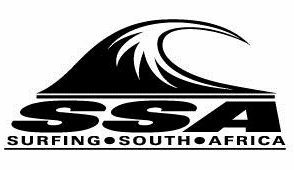 Surfers must be members of the 2019 SA Surf Tour (SAST) in order to compete. Entry fees must be paid for both divisions. Payment must be made at the same time as the online entry is submitted. Surfers will not be included in the Heat Draw if the Entry Fee & SAST affiliation fee is not paid. Once the heats are full no more entries will be accepted. If fewer than 5 entries are received for a division that division will be cancelled and entry fees refunded. Surfers who withdraw after the closing date will not receive an entry fee refund. Surfers who do not arrive for their heat (“no shows”) will be fined R1500. Payment of this fine must be made prior to entering another SAST event. Surfers & officials must meet at Nahoon Beach at 7.00am on both days. The first heat will commence at 7.30am on both days. DISCLAIMER: I hereby make formal application to enter the 2019 SEA HARVEST NAHOON JUNIOR OPEN & agree to abide by the decisions of the judges and organisers. Furthermore if my application is accepted, I hereby release the sponsors; their members or agents and any event officials from all liability for injuries or damages whatsoever arising from my participation or presence at this contest. Release is inclusive for photographers and moving pictures of the contest.